When Mark and Zaloma came to the UK from South Africa they already had a passion for hospitality and the restaurant business in particular. While Zaloma found a job in nursing, after 3 months Mark managed to secure a General Manager role for Greene King in Chelmsford. Pubs are not a thing in South Africa so it was definitely a change of approach but Mark quickly caught the bug. When they were offered an opportunity to manage at a tenancy pub in Southampton they jumped at the chance. It was the first time Mark and Zaloma would work together, but they didn’t hesitate to take on the opportunity. 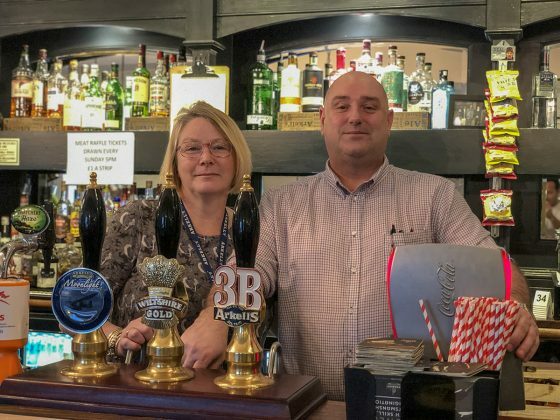 After 2 successful years they made the move to Swindon and in December became the proud landlords of The Sun Inn at Coate Water, an Arkell’s pub. There was a new challenge for the couple as they hadn’t previously managed rooms (there are 10 bright and airy rooms at The Sun Inn, ideal for business and pleasure stays) and such a substantial outdoor space but they relish in tackling that and improving things. Since joining, locals have already been raving about the improved experience, warmth (and that’s not just the heating being switched on), ambience and food; New Year’s Eve was a particular success with over 120 tickets sold. And one thing you’ll realise is that Mark and Zaloma like to surprise and delight with small touches so on New Year’s Eve made sure that all guests had a glass of fizz when the clock struck midnight. One of the top priorities for the new landlords is to listen to the community and build relationships with them. Some people have been visiting this iconic pub for decades so it’s important to the new landlords to acknowledge and appreciate them. They’re very clear that they’re not going to make changes to things that are working and already enjoyed. Quite simply, they want to make The Sun Inn a better place to socialise, eat and drink. One of the first things that has been done since the arriving is to give the menu more structure. Rather than a generic menu offered throughout the day, there is now a separate breakfast, lunch and dinner menu plus a specials board featuring homemade, fresh foods with a South African dish or two. There is also a good selection of food choices for vegans, vegetarian and gluten free options. 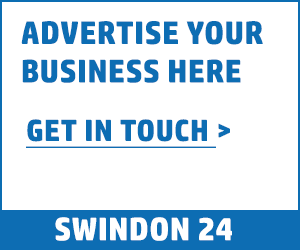 Mark and Zaloma want The Sun Inn to be the place to go for a Sunday Roast in Swindon and has been a roaring success since they made that a focus. There is an abundance of fresh vegetables (6-8) and meats (up to 5) plus a vegetarian option and there will be seasonal additions through the year as well. One of the biggest opportunities Mark and Zaloma see for The Sun Inn is the outdoor space. And they have big plans to make it an area to be enjoyed when the weather improves, from BBQs to orderable picnic baskets that can be enjoyed on site. Arkell’s are investing in landscaping updates including levelling out the grass areas and updating some of the décor. So keep your eyes peeled as the trees start to bloom, The Sun Inn will be the place to go for a bite to eat and cold drink after a stroll around Coate Water. If you haven’t been there in a while you may want to take a look inside and see all the changes that have been made. We’re excited to see what changes Mark and Zaloma will continue to make at the helm of The Sun Inn and we’re sure you are too. They are both openly hands on and extremely friendly so if you haven’t already, head on down and say hi – they’d love to see you!